I had lunch today with a long time friend and product developer Paul Peregrine. Paul is the developer and brains behind those fine photographic bags know as Lightware. After lunch, we headed over to his office and studio to have a look at a new product he has developed for small strobe users like myself. It's know as The FourSquare™. 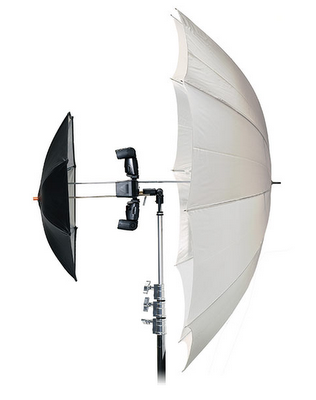 This is a very clever small strobe mount and softbox combo. 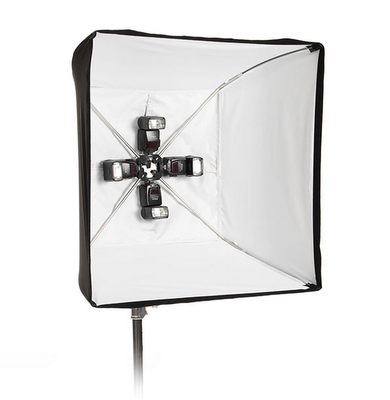 The key to the system is the Four Square mount which allows up to 4 speedlights to be mounted into a 30" X 30" softbox. The real big plus to this system is the size of the complete kit. 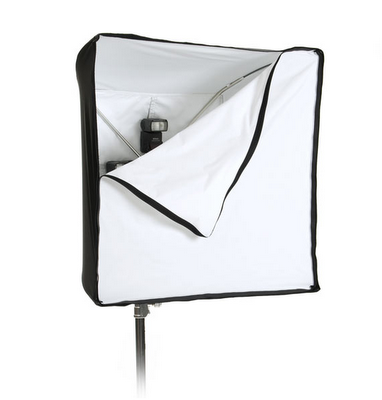 The softbox and FourSquare mount fit into a stuff sack measuring only 18". I've only had a short time to play with it, I think Paul has a winner here. 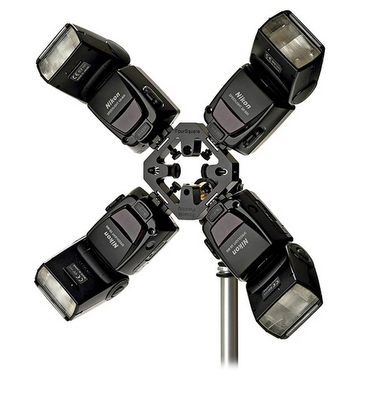 What's really cool about the system is that you don't need a speedring and then something else to mount your strobes. Everything you need fits into the small bag shown above. 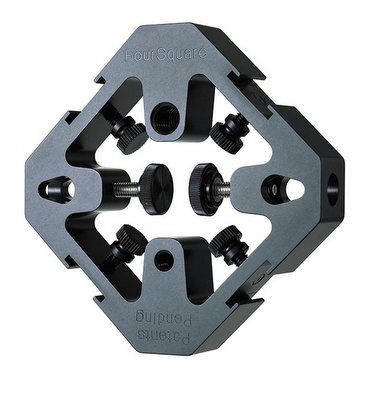 I use my usual umbrella adapter to mount the FourSquare™ to a light stand. You don't have to use the softbox if you don't want to. How about just straight or perhaps a double soft bounce into and through an umbrella. I've only had a few minutes to play with the new FourSquare™, but from what I've experienced so far, I like it! I've got a few assignments in the next couple of weeks. I hope to put the FourSquare™ through it's paces. 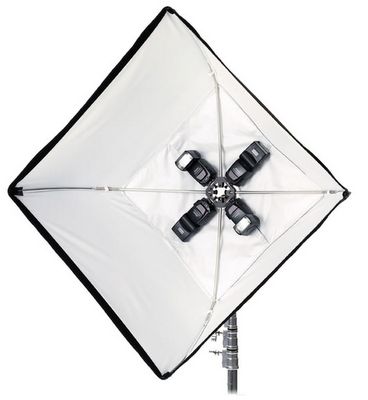 To learn more about this clever and compact lighting tool, check out their web site. The FourSquare™ is scheduled for release in the next few weeks. It is only available directly through their website Lightware Direct. I still have a few spaces left for the June 28th Small Strobes, Big Results workshop in Buffalo. We have been granted access to the historic Central Terminal Train Station. If your interested in attending please contact me.